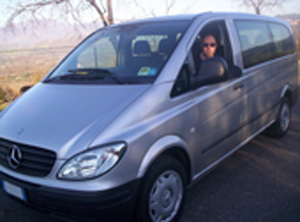 New Travel Service is run by a Sicilian young man, Christian Guardione. He graduated in "Professional State High School" in Catania He also attended graduate courses in several hotels in Switzerland, in order to improve his knowledge in the field of tourism: in Schweizerhof hotel (Zermatt); Movenpick hotel (Lausanne); Riffelalp hotel (Lausanne); and Beaurivage hotel (Lausanne). Why Sicily excursions by New Travel Service? The company’s goal is to give the right value to your money, by keeping the lowest prices you’ll ever find, without sacrifying quality. All the tours and stays that we suggest have been first experienced by ourselves: we would never choose anything that we wouldn’t have enjoyed before! With Sicily excursions by New Travel Service you can choose from a variety of tour styles that match your idea. As a matter of fact, we have a selection of longer and shorter tours and stays; in both cases you will find a perfect balance between sightseeing and simply discovering cities on your own. Whether you prefer to travel as a couple, on your own, or with a group of friends, you will find with Sicily excursions by New Travel Service the tailor-made vacation for you and your family.